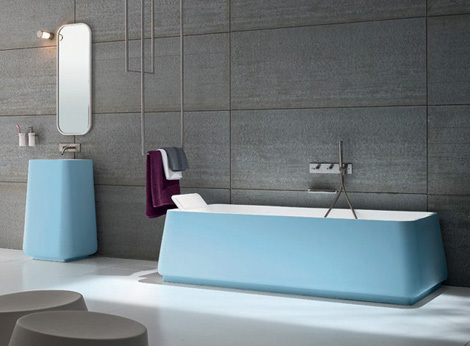 This elegant ensemble of washbasins and bathtubs will transform your bathroom into your favorite room in the house. Available in a arrange of cool, calming colors like white, light blue, blue, aquamarine, grey, black or brown and with a raw or lacquered finish. Rexa Design.